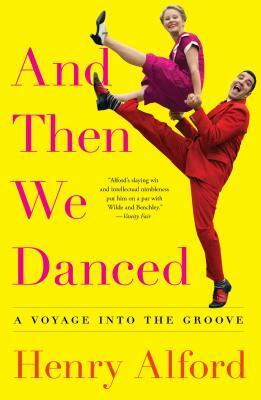 Equal parts memoir and cultural history, from acclaimed comic stylist and professional hobbyist Henry Alford comes a hilarious journey through the world of dance that will inform, entertain and leave readers tapping their toes. When Henry Alford wrote about his experience with a Zumba class for The New York Times, little did he realize that it was the start of something much bigger. Dance would grow and take on many roles for Henry: exercise, confidence builder, an excuse to travel, a source of ongoing wonder and—when he dances with Alzheimer's patients—even a kind of community service. Tackling a wide range of forms (including ballet, hip-hop, jazz, ballroom, tap, contact improvisation, Zumba, swing), this grand tour takes us through the works and careers of luminaries ranging from Bob Fosse to George Balanchine, Twyla Tharp to Arthur Murray. Rich in insight and humor, Alford mines both personal experience and fascinating cultural history to offer a witty and ultimately moving portrait of how dance can express all things human. Henry Alford has written for The New Yorker, Vanity Fair, and The New York Times for two decades. His books include And Then We Danced, How to Live, and Big Kiss, which won a Thurber Prize for American humor. "Henry Alford's new book is an exhilarating twirl through the dance world. With passion, wit and style to spare, he knows just how to lead us—and not even wallflowers will be able to resist."